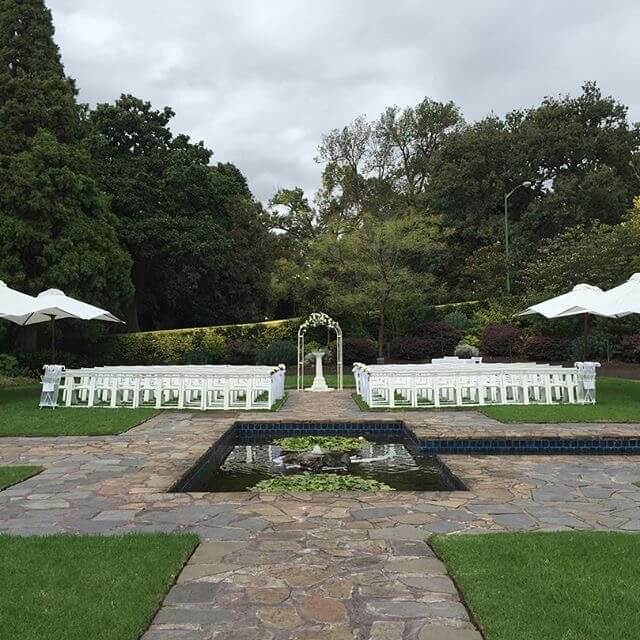 This sunken garden in King’s Domain, designed by Linaker, was a fitting tribute commemorating Victoria’s pioneer women. 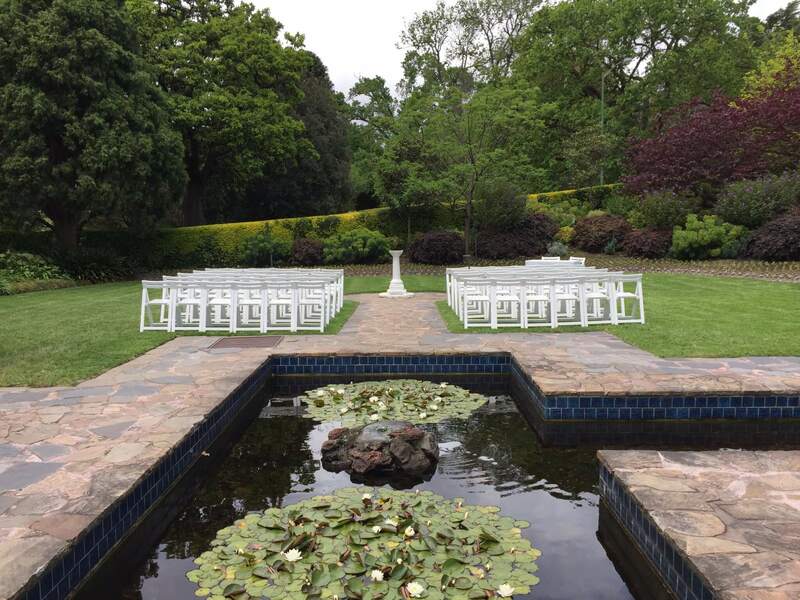 The focus for this formal garden is a small tranquil pond leading to a blue tiled grotto, containing Charles Web-Gilbert’s small bronze ‘figure of a woman’. 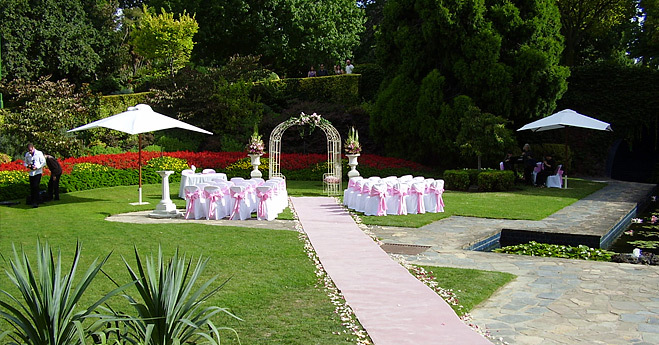 The garden is a short walk from Alexandra Avenue, where roadside parking is available. 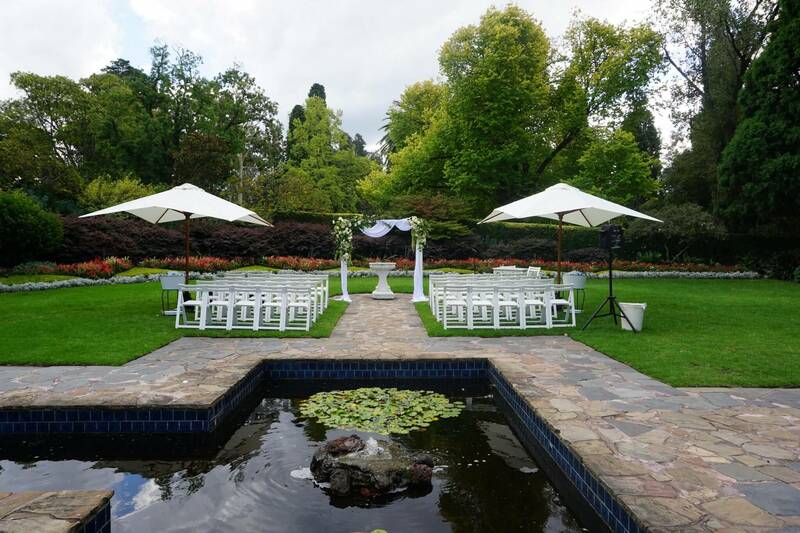 The garden is filled with flowers in an array of colours and is best viewed in spring and summer. 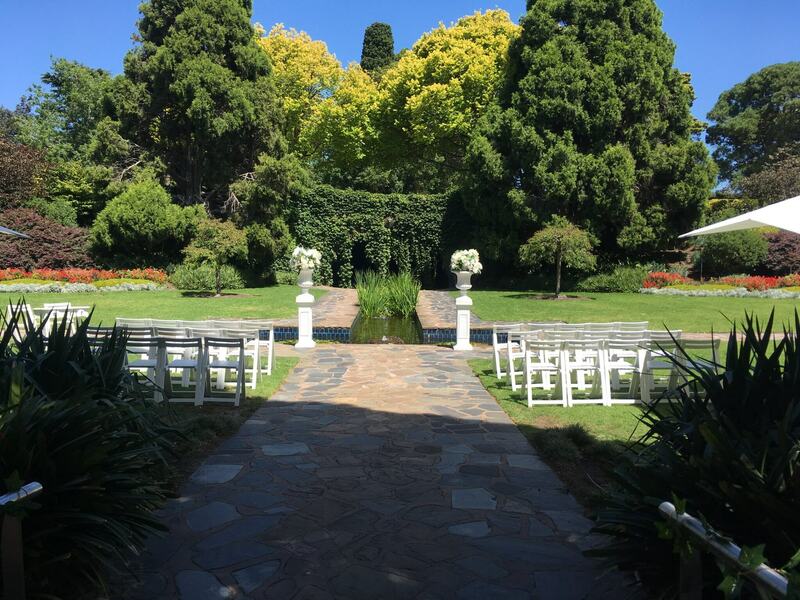 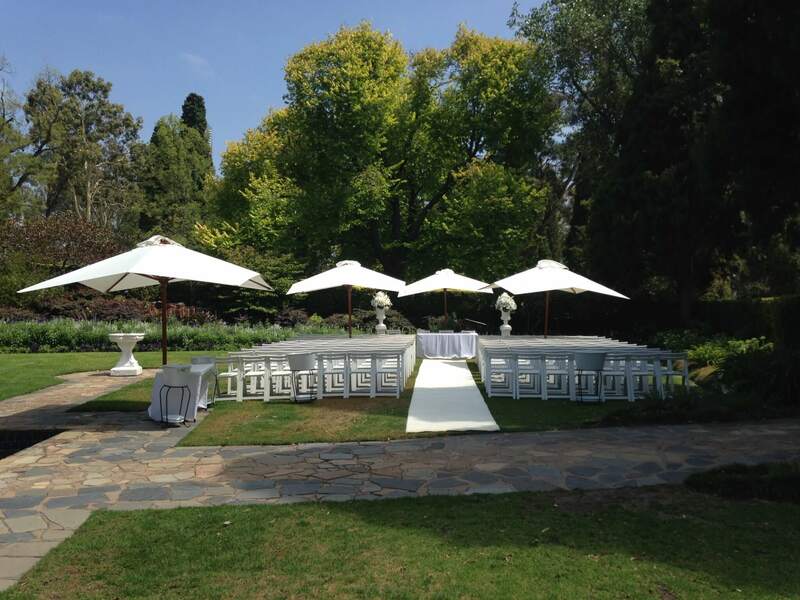 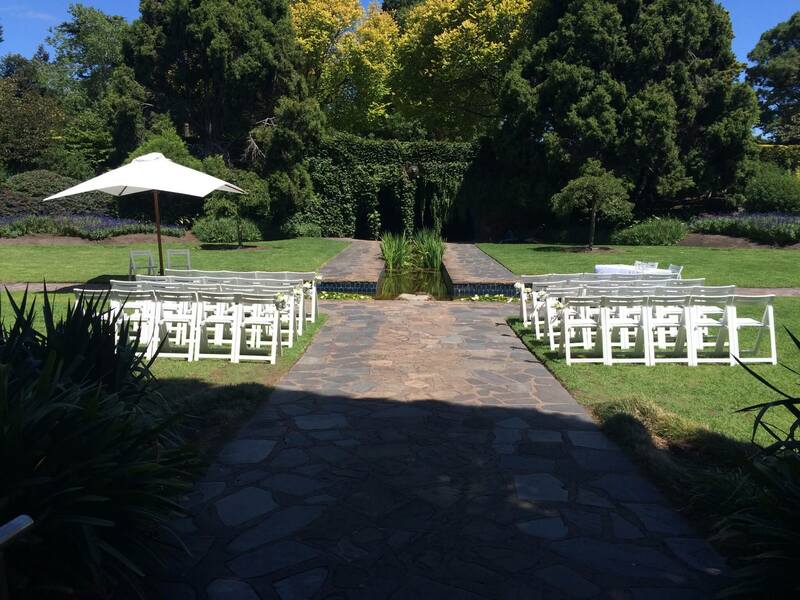 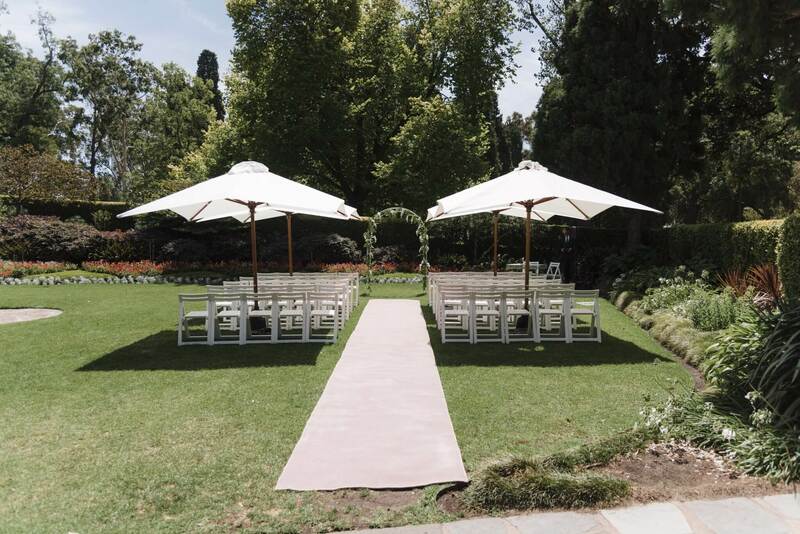 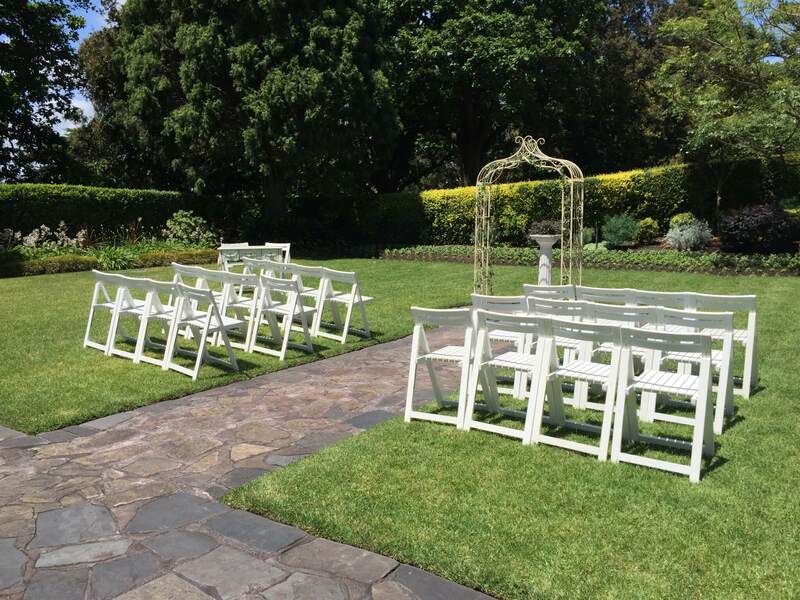 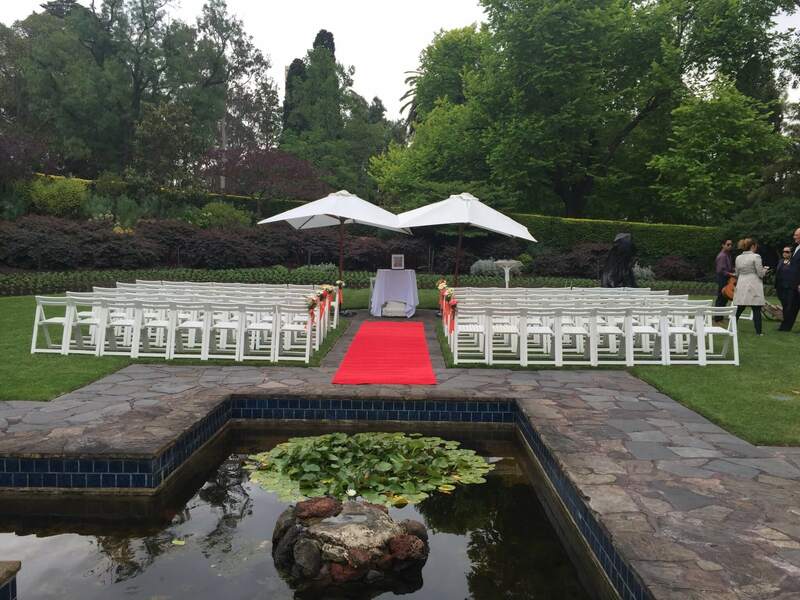 This gorgeous wedding ceremony location is also surrounded by a hedge which provides welcome privacy for an intimate wedding ceremony.